We want to match and connect the best and most beautiful wedding vendors from across the Home Counties to their dream clients. 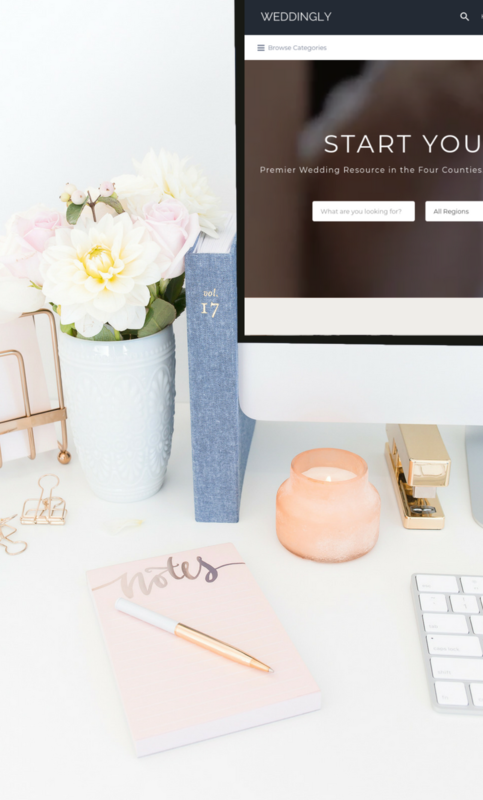 If you’d like to meet more couples by joining the fastest growing community of truly gorgeous wedding vendors in the South East, apply for your FREE listing today to be considered. What’s included with your free listing? It’s free, so why not apply today! Tell us a little bit about your business and a member of our team will be in touch to let you know if we think you might be the perfect match for our engaged couples. Just click here and fill in our short form to be considered. Looking to improve your business? We’re here to help you succeed in the wedding industry. Whatever it is you need to conquer your business goals, we will get you there. From 1-2-1 training and guidance to hands-on support, take a look at the Weddingly Academy to find out what we can do for your business. Plus, sign up to our Business Membership for access to digital tutorials and videos, downloadable resources, blog articles, a free consultation with one of our Business Development and Marketing Experts and more! Click here to find out more about the Weddingly Academy and let’s grow your business.